iDECT Introduces the Carrera Classic Plus. The original Carrera from Binatone produced in 1980 quickly became a consistent best seller in the UK and Europe selling over 5 million pieces in 10 year life span. Its classical lines and iconic design won it many awards. The Carrera Classic Plus combines modern style, sophistication and innovative design with some inspiration from the past. 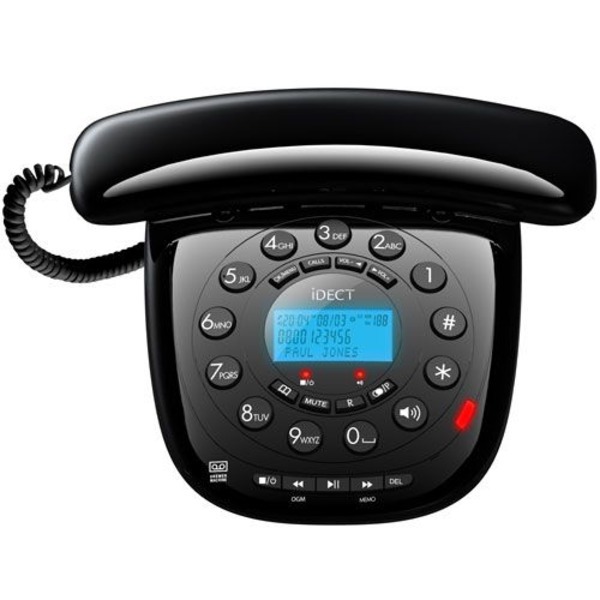 The main features includes Blue Backlit LCD Display, Nuisance call blocker, 120 name and number phonebook, Visual ringer indicator, Adjustable volume control, hands-free speakerphone and Up to 20 minutes answer machine. 120 name and number memories. 40 mins answer machine recording time. 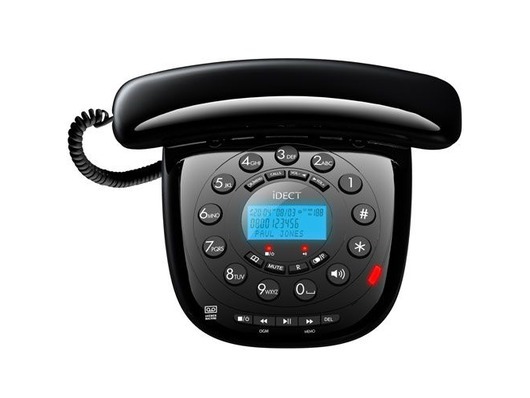 Works perfectly with BT, Sky, Talk Talk, Virgin and all other UK Landline telephone providers.